What are the long term side effects of bad posture? Outside of not looking healthy, poor posture has several significant health implications. First of all it is important to realize that gravity works against us all our life and the earlier we begin to get into poor posture, the more long-lasting the side effects. Without correcting postural issues people suffer from premature degenerative changes in the spinal joints which can even lead to compensations that affect the arms and legs. Poor posture increases the incidence of compression fractures in the spine as we age which can lead to nerve damage, cardiovascular and organ problems. Essentially, good posture is very important because bad posture virtually causes your entire body to malfunction! We all know friends or family members who have the rounding of the shoulders and bent forward posture and don’t think that anything can be done for it. Chiropractors are the best health care option for restoring normal spinal movements and correcting posture and spinal health on a long term basis. If you or anyone you know has poor posture or associated neck and back pain, schedule a chiropractic assessment today to assist with your long term health! I sometimes find myself guilt of forward head position, particularly when standing at the cashier. 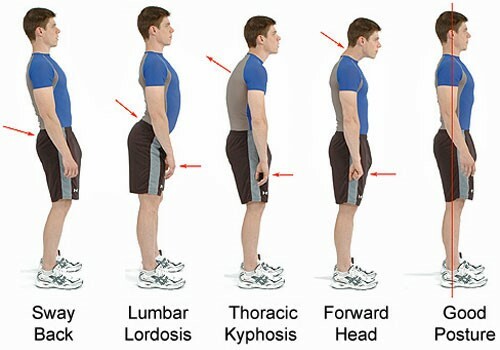 Anyway, I see more and more people (even youths) having a crazy (thoracic hypokyphosis) posture.